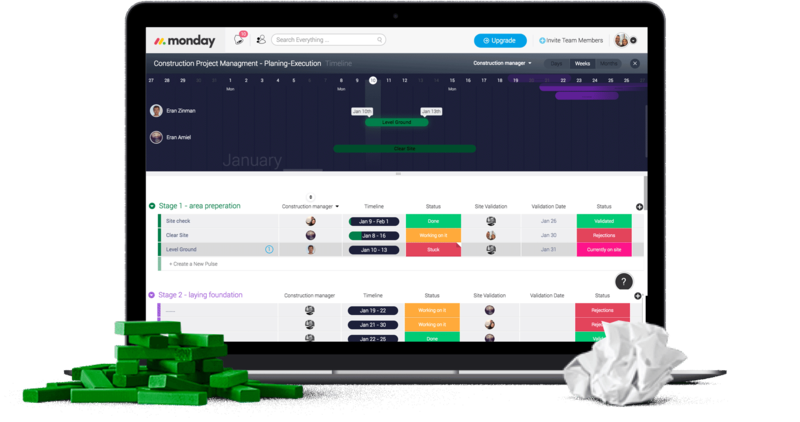 Meet the effective way to manage construction projects, time, and people. People are the most important part of any construction project. While planning, budgeting, time and cost are super important for any contractor, by far the most important thing to ensure the success of any project is the people. How do they communicate? Do they know what the plan is? Does each person know that their work or deadline is super important for others to start? It’s often that project owners give the wrong incentives and payment to contractors. They build the wrong things at the wrong time often of subpar quality. They key for the success of the project is alignment between all the people involved. Everyone should know the bigger plan, exact dates and the meaning of delay. People must understand what plan delay means - not just for them, but for the whole project. Clear status: Everyone understand who is dependant on them and why they need to be on time. 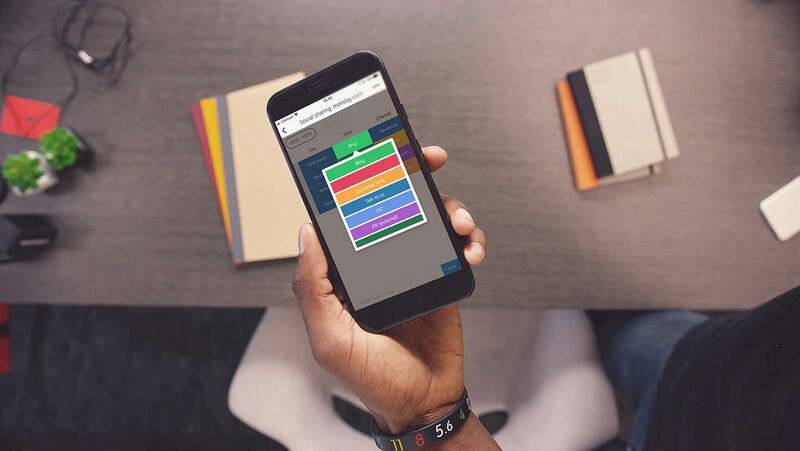 Clear dates - Everyone gets a real-time view of the state of things, using mobile and desktop. Clear ownership: Issues, delays, and progress are synced with project managers, contractors, sub-contractors, and customers. You choose who knows. Everyone sees the same picture. No need for complex reporting tools: the tool you use will look better than your report. 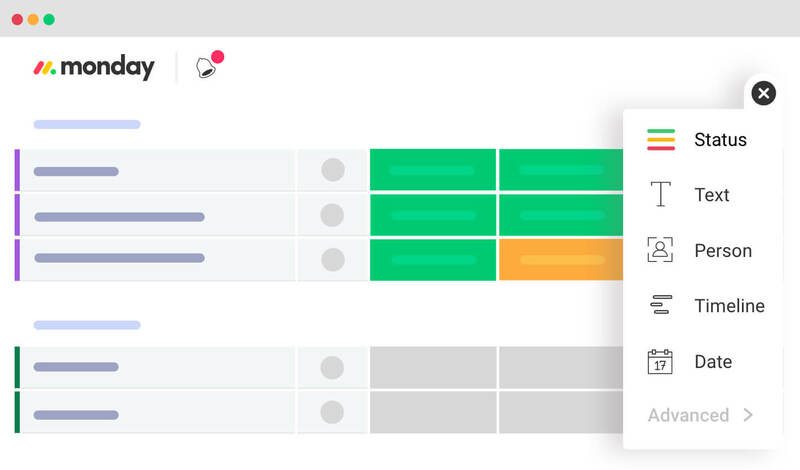 The plan scales for any size project: You can connect multiple plans together to get the bigger picture on execution vs planning across many areas. It's often a mistake to think that the project manager's job is to plan and execute the plan by making sure everyone knows what they need to do and when. This is the wrong approach to managing construction projects and even management in general. By taking that on, the project manager also take on all the responsibility for success or failure of the project. The project manager needs to plan, but then when it comes down to execution, they should delegate the responsibility of meeting the deadlines to the team. Responsibility is not passed onward by telling people to meet the deadline nor does it pass well through payment or other methods. The best way to hold people accountable and make them adopt the responsibility themselves is showing them that other people depend on them. People are accountable to people. A super good method is holding regular sync meetings on the construction site, with all the stakeholders and even their top workers. Everyone should say what they are working on and what they need to start the next project. It's amazing how things that are so clear to a project manager are not clear to all the people involved. This meeting reveals all those issues and pushes the manager from being the annoying person chasing others to do what they said they would. An excellent complement to those meetings is the execution board shown here, That keeps everyone synced in real-time on progress and makes those meetings simple and clear. The board can be available on every cell phone to make sure no one will ever be out of the loop. Everyone is accountable. It is often thought that not paying contractors until they "finish the job" is the best way to get resuts on time and with quality. This indeed one way to do it - but it doesn't always work. We have another way that supplements payment as the only way: recognition. All people want to feel that their work matters. No one likes doing things for nothing. Money is not the only way to motivate people to work and definitely is not the biggest motivator for them to do a good job. Recognition and "credit" for a job well done is very powerful. People will go the extra mile so others will know how good they are. If the only feedback a person gets is negative for doing a bad job, they will never have the motivation to do a good job. If they get both the negative feedback and the positive feedback for a job well done, that's much much more powerful. With our boards, recognition is a easy and powerful tool for the customer, contractors, and project managers. Everything is clear in once glance: who's working on what and when things will be done. Everyone knows. It's pushed to everyone and the person in charge of the task/project completion gets instant satisfaction that people know what he's done. 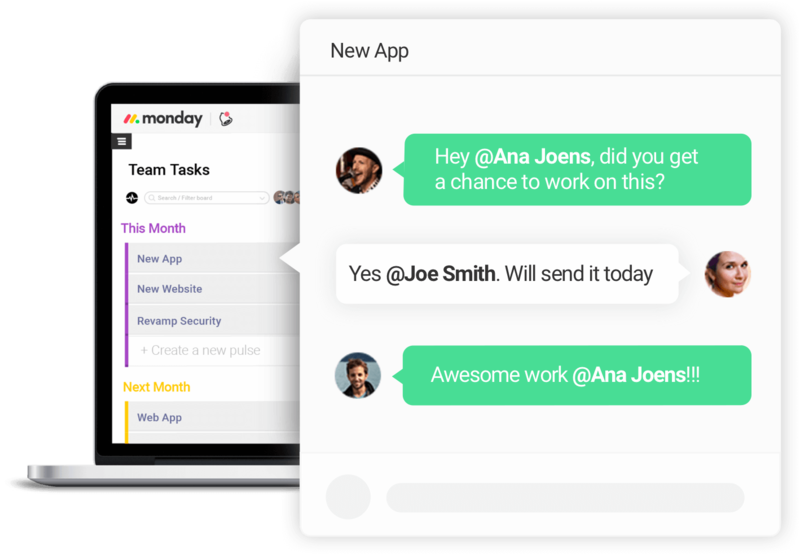 We see that people who use this to manage time, plan, and control the cost of the project get amazing results from the people they work with. It's as simple as showing what's been accomplished for everyone to see. The project manager needs to plan, but then when it comes to execution, they should delegate the responsibility of meeting the deadlines on the team. Responsibility is not passed onward by telling people to meet the deadline nor does it pass well through payment or other methods. The best way to hold people accountable is showing them that other people depend on them. People are accountable to people. A super good method is holding regular sync meetings on the construction site with all the stakeholders and even their top workers, Everyone should say what they are working on and what they need to start the next project. It's amazing how things that are so clear to a project manager are not clear to all the people involved. This meeting reveals all those issues and pushes the manager from being the annoying person chasing others to do what they said they will. A a great complement to those sync meetings is an execution plan board as shown here. This keeps everyone synced in real-time on progress and makes those meetings simple and clear. It can be available on every cell phone with our mobile app to make sure no one will ever be out of the loop. Everyone is accountable. Cost is another super important thing in any construction project. It is said that time equals money, and nowhere is that more true than in construction. Managing time is critical and planning for it is key. While classic project management tools with Gantt chart do a good gob for planning, they do a really poor job tracking the execution of the plan. Project managers exhaust themselves trying to keep the status of the project updated with the plan. It's hard and they often fail at the day/week's level. The longer the project, the more those small delay accumulate into massive delays. What was once considered a good tool, Gantt today is a problem for every execution-oriented manager. Our solution includes a high-level timeline that clearly shows what's going to be done when on a simple timeline anyone can follow. Because it's 100% tied to the real execution and syncing of the team, the plan is always updated in real-time with reality. Delays are known as they happen and nothing can fall through the cracks. Our board simulates a simple Gantt chart. 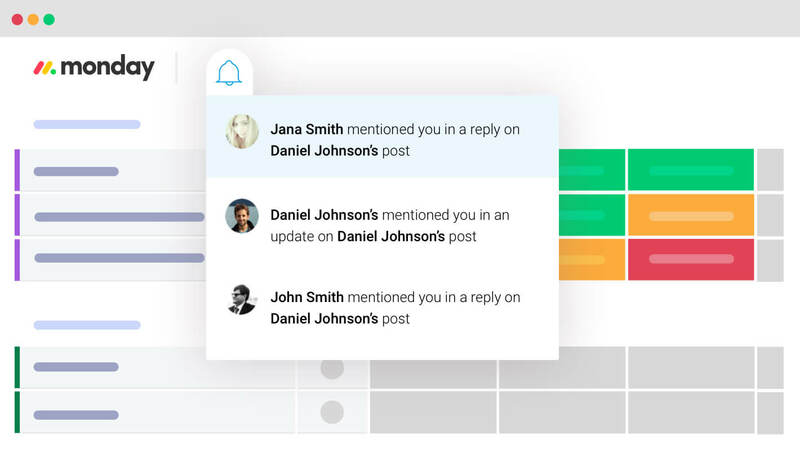 Unlike Gantt, it still allows you to be focused on people, making them accountable, synced, and giving them a tool they can actually use. Simplicity is key.